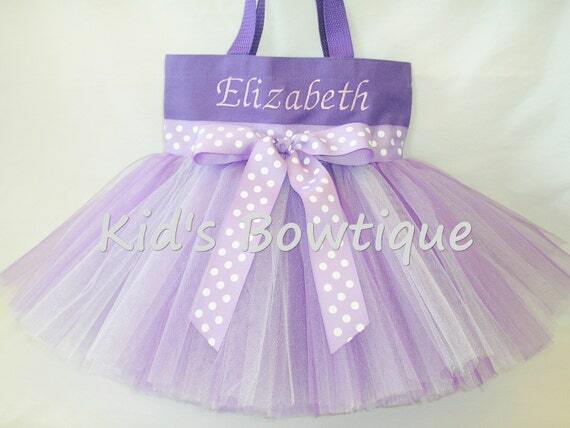 This Kid's Bowtique tutu bag can be used as a purse, dance tote bag, etc. Perfect as a flower girl gift, birthday gift or baby shower gift too! The canvas bag is approx. 11X 8. Each tutu bag has a full tutu of purple, lavender, and white tulle for uniqueness, ribbon at the "waist" for dazzle, and embroidery for personalization. Also available in hot pink, aqua, yellow, and red color scheme.